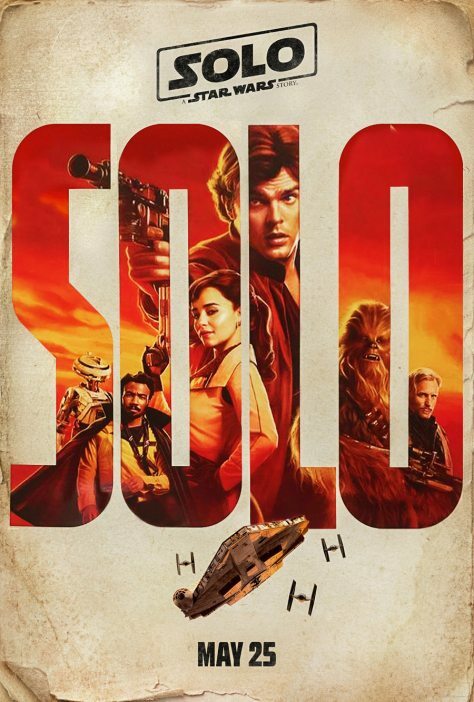 Solo: A Star Wars Story arrives in theaters on May 25th and currently tracking to have a three-day domestic opening weekend in the range of $150 million. First reported by Box Office Pro, these estimates put it just under the $155 million debut that Rogue One: A Star Wars Story had. The film is not expected to end up grossing as much as Rogue One did overall, with current estimates that it will gross somewhere around $390 million domestically versus the $532 million Rogue One earned. Solo faces some stiff competition in the following weeks of its debut, with the likes of Avengers: Infinity War, Deadpool 2, and Incredibles 2. This could result in Solo becoming the first Star Wars film that finishes with a sub-$400 million domestic total, and could also fail to reach the $1 billion mark worldwide. Ron Howard took over the project in June after the original directors Phil Lord and Christopher Miller were fired. It features Alden Ehrenreich (Hail, Caesar!) as Han Solo, Donald Glover (Atlanta) as Lando Calrissian, Woody Harrelson (War for the Planet of the Apes) as Tobias Beckett, Joonas Suotamo as Chewbacca, Phoebe Waller-Bridge (Fleabag) as L3-37, Emilia Clarke (Game of Thrones) as Qi’Ra, Thandie Newton (Westworld) as Val, Ian Kenny (Sing Street) as Rebolt, Harley Durst (Wonder Woman) as Moloch, Jon Favreau (Spider-Man: Homecoming) as Rio Durant, Tien Hoang (Now You See Me 2) as Moloch’s henchman and Paul Bettany (Avengers: Infinity War) and Warwick Davis (Star Wars: Episode VI – Return of the Jedi) in as-yet-unrevealed roles.